In stock -This product will ship today if ordered within the next 2 hours and 1 minutes. Westlab harvest the highest quality Himalayan salt crystals, known for their detoxifying properties. The pretty pink crystals have been around for millions of years and contain an impressive 84 minerals including magnesium, calcium, iron and potassium. Sourced from the base of the Himalayan mountain range, this natural salt was formed over 250 million years ago. Preserved in the Himalaya Mountains by tectonic pressure, it remains remarkably pure, free from additives and pollutants. The salts get their naturally pink, distinctive and attractive colour from the rich iron content in the minerals. The magic lies in Himalayan Salts detoxifying nature. Detoxifying is to remove negative and toxics substances from our bodies, leaving us feeling healthy and cleansed – sounds ideal! 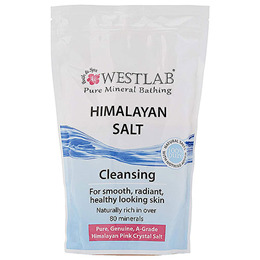 Detoxing is good for us and Westlab Himalayan Pink Salts are packed full of minerals and natural goodness to make the whole detox process as relaxing and enjoyable as possible. Westlab are committed to only using the highest quality, genuine salts. They travel the globe to work directly with salt miners and producers. This not only ensures premium salt is delivered at great prices, but also guarantee standards of consistent high quality. Sodium Chloride (Himalayan Pink Crystal Salt). Bathing Instructions: Dissolve salts in a bath of 37-39°C. Relax and soak for 20 minutes. For a detoxification bath use 500g-1Kg. For general skin health and wellbeing add 100g-250g to your normal bath. Seek GP advice before using if you suffer from a medical condition. If irritation occurs rinse with water. If it persists, seek medical attention. Keep sealed in a cool, dry place as over time the salts can attract moisture. 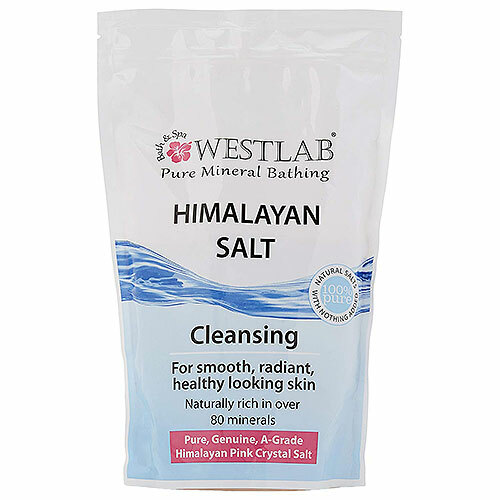 Below are reviews of Westlab Pure Himalayan Salt - Cleansing - 5kg by bodykind customers. If you have tried this product we'd love to hear what you think so please leave a review. Sorthing and relaxing. Quick delivery too! This is an excellent product which I use daily. Got this half price and always feel a sense of deep cleanliness after having a good soak. Really helps me sleep when I use it in the evening. Lovely product, great price. Have given as gifts to friends who love it too. Great product, price & speedy delivery. Excellent product, value and service. I don't think you can beat it. Will order more.